The PCB and Layout files that I have linked above are on Stuart Castledine's "Guitars, Amps and Effects" website. 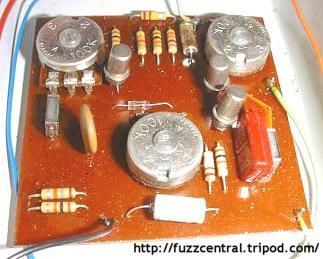 You can use his PCB and Layout files to build several different versions of the ToneBender 3-Knob. I've been a regular visitor to his website since I started building effects pedals years ago and it has been an invaluable resource for information on ToneBenders and many other effects pedals from the 1960s and 1970s. Stuart also assisted greatly with many of the effects projects presented on this site, including the ToneBender MKII Professional, Vox ToneBender and Vox Clyde McCoy wah.